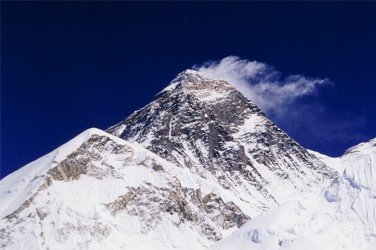 Mount Everest is the highest peak in world also known as Sagarmatha 8848m from sea level. This is most popular trekking destination in the world offers easy to challenging level treks inside the Khumbu Valley, Everest Himalayan region of Nepal. Trekking in Everest is perfect choice to glimpse the Himalayas, Buddhist monasteries, Lakes, origin Sherpa people, icefall and glaciers. Trek in Everest region is really wonderful journey in the high Himalayan trails, the most popular trails in Everest are Everest Base Camp, Cho La Pass, Gokyo Lakes, Renjo La Pass, Everest Panorama and Everest three passes. All Everest trekking routes are network with friendly tea houses/lodges provides the accommodation and meals for the trekkers so no need to arrange camping (Tented camp). The best season is trek to Everest region from March to April and September to November but it is possible to do anytime in year. The trek to Everest region starts from Lukla or Phaplu, about 35 minutes flight from Kathmandu airport. And Jiri Bazaar or Salleri is another option to starts the trek but it is long drive from Kathmandu city. Most popular Everest trekking trails are inside the Everest (Sagarmatha) national Park, located in Eastern Himalayan Ranges of Nepal. The national park required national park entry permit to trekking in Everest region. It cost RS. 3390 Per person (including 13% Vat) and also required TIMS CARD (Trekkers' Information Management System), it cost USD 20 per person for FITs (Individual visitors) and USD 10 per person for those who book the trek through the trekking agency. Find below best trek trails of Everest region! Choose the itinerary and ask the cost/price with our experts.